Terms of sale are NET 30 DAYS. On all open accounts, a 1% service charge on the unpaid balance will be assessed for every succeeding month until the account becomes current. If the account exceeds the open account limit as determined by Xiamen Wabco, Inc’s financial department, all shipments will be held until the account is within standard terms or shipments are made on a COD basis. All purchases will be shipped F.O.B. Irwin, PA, except where otherwise negotiated by Xiamen Wabco’s Inside Sales Representatives. 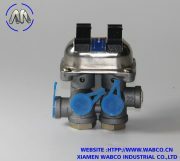 Xiamen Wabco manufactures to order. 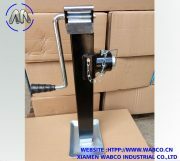 Goods may not be returned for any reason without approval by Xiamen Wabco, Inc. and without being accompanied by a Return Material Authorization (RMA) and under the following conditions: (a) Where the goods shipped by TINMY (I) do not conform to the description of the goods in the Xiamen Wabco contract of sale, (ii) included a defect in material or workmanship at the time of shipment or (iii) otherwise do not fulfill Xiamen Wabco’s obligations under the contract. (b) Where the goods (I) are returned to TINMY within 30 days after Xiamen Wabco’s original shipment of the goods,(ii) are not specially ordered items, (iii) are in their new and unused condition and (iv) are identified by their original sales order number. Xiamen Wabco will bear all freight charges on returns covered by paragraph (a) above. Customer will bear all freight charges resulting from returns covered by paragraph (b) above, and all returns to which paragraph (b) above is applicable will be subject to a restocking charge of 25% of the price which the customer paid to TINMY for the standard goods returned. Additional restocking charges will apply to polished valves and automation and accessories. Under no circumstances is overstocking by a representative or customer a valid reason for return of any item. Return Material Authorizations are valid for a period of (90) days from issue and are void and unusable at the end of this period. Thecustomer is responsible for assuring that proper packaging protects the valves in new and reusable condition. Any damage resulting from improper packaging will be accessed by TINMY and added to the restocking charge. 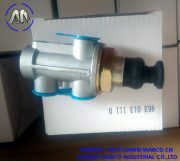 Xiamen Wabco, Inc. warrants it’s products against defects in material and workmanship when used in those applications approved by Xiamen Wabco for a period of one (1) year from the date of original shipment by Xiamen Wabco. Xiamen Wabco’s liability under it’s warranty shall be limited to repair or replacement, at Xiamen Wabco’s option, of such defective products, F.O.B. factory. 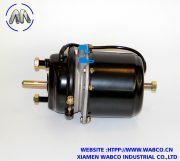 Customer acknowledges and agrees that Xiamen Wabco’s sole responsibility or liability in the case of any breach of the foregoing warranty, shall be for Xiamen Wabco, at Xiamen Wabco’s election, to repair or to provide a replacement for the product or portion thereof with respect to which such warranty contract is breached or to return all payments made by customer with respect to such product or portion thereof. Orders for standard inventoried products are subject to a cancellation charge of 10% to reimburse Xiamen Wabco, Inc. for costs incurred. This charge will be levied on all orders canceled after seven (7) calendar days from order entry. Orders for non-standard or special valves or components, including resale items, are not subject to cancellation after such order has been acknowledged to Customer or end user. Any exceptions to this clause must appear in written agreement prior to placement of order. Due to continuous product improvements, Xiamen Wabco, Inc. reserves the right to modify or change design without incurring any liability to furnish or install such modifications or changes on products previously or subsequently sold. Xiamen Wabco Inc. reserves the right to change published prices and other terms and conditions of sale without prior notice. 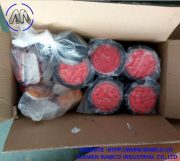 Orders requesting shipment of valve spare parts within 24 hours, or valve assemblies within 48 hours, of receipt of order by Xiamen Wabco, Inc. may be charged 10% over the net prices otherwise applicable. Shipment shall be made by Xiamen Wabco in accordance with Xiamen Wabco’s normal delivery schedule. Upon the Customer’s specific request to Xiamen Wabco, Xiamen Wabcowill provide the services of a field service representative. Except where the necessity for the services of the field service representative results solely from acts or omissions for which Xiamen Wabco is responsible, Customer will pay for such field services at Xiamen Wabco’s current prevailing daily field service rate plus all expenses incurred by the filed service representative. Xiamen Wabco reserves the right to substitute TFM™ material for other seat/seal materials at our discretion. Xiamen Wabco reserves the right to impregnate Bronze castings as needed to address porosity issues. It is the customers’ responsibility to advise in advance if this is not acceptable. Suitability and/or Performance of Product – Seller makes no warranties, expressed or implied, regarding suitability or performance of the product offered. Buyer agrees to review all technical data and make final determination as to the suitability of the product for the intended end-use application. If technical data has not been provided and is required to determine suitability, it is the customer’s responsibility to request, obtain and review all pertinent documentation.